It wasn’t supposed to end this way for the La Salle Green Archers. 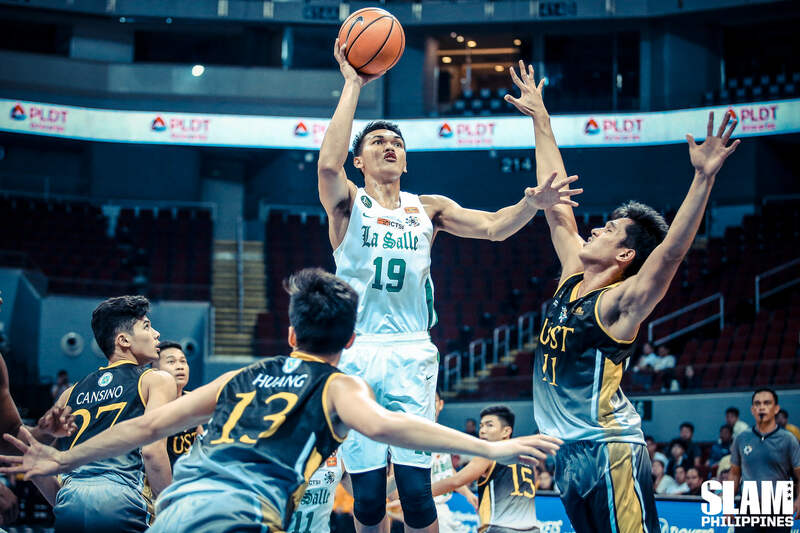 Prior to the start of the UAAP Season 81 men’s basketball tournament, hopes were high for La Salle. Despite the departure of MVP Ben Mbala, rising star Ricci Rivero and head coach Aldin Ayo, there were plenty of reasons to back the Green Archers to challenge for the championship for the third straight year. Instead, they floundered and were left scratching their heads, failing reach the Final Four this season. La Salle finished the elimination round with an 8-6 slate, which tossed them into a do-or-die matchup against FEU for the right to play Ateneo in the semi-finals. A dagger in the heart from FEU’s main gun Arvin Tolentino ended La Salle’s hopes in a dramatic fashion. What was the culprit in La Salle’s fall from grace? Was it their hangover from losing Aldin Ayo’s mayhem? Did they struggle to fill the giant Mbala-sized hole in their roster? Did losing the Rivero brothers expose the team on both ends? Looking at the team’s numbers after the elimination round, the Green Archers were more than respectable. La Salle ranked third in both scoring (74.9 ppg) and points allowed (70.8 ppg). They also held their opponents to their worst field goal percentages both inside (42.0%) and beyond the arc (26.3%), which is good for first and second place in the league, respectively. A competent defense is supposed to help you with championships, and when you have a respectable offense to pair it with, then you have a side that has the right to aim for the championship. The holes sin their game became more evident when you zoom in on how they took care of the ball. The Green Archers were careless and ranked second to the last in both turnovers (15.9 per game), and points off turnovers allowed (13.3 ppg). Only UST ended up with a worse record in those categories. 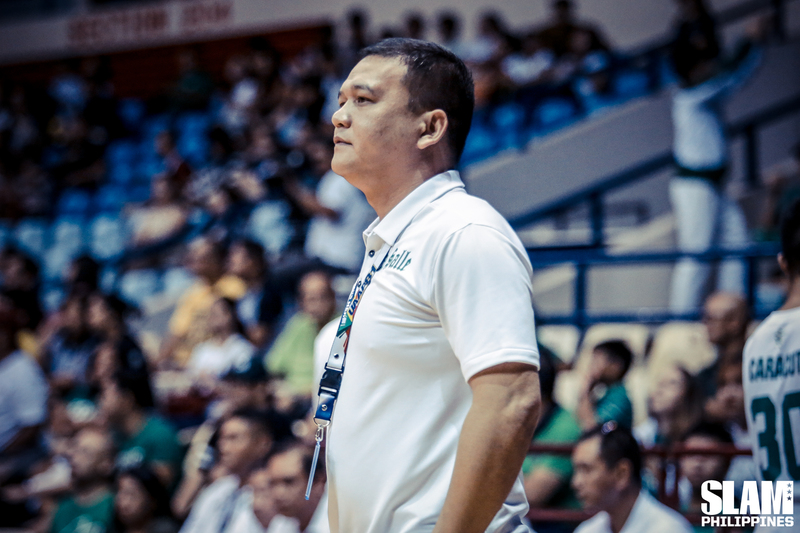 Looking at the players individually, the coaching staff elected to use Aljun Melecio as the main focal point of the La Salle offense. I predicted that Season 81 will have the Melecio gun show on full display, and that proved to be the case. Through the elims, the La Salle guard led the team in attempts by a wide margin, taking 21 percent (206/972) of all of the Green Archers’ shots from the field. Melecio only converted on 37.9 percent of those attempts and posted a per game average of 15.9 points. Justine Baltazar and Santi Santillan were the next top scorers for La Salle with averages of 13.4 and 10.8 points per game, respectively. The pair also grabbed the most rebounds for their team, and both were close to averaging double-doubles for the Archers. Baltazar and Santillan were two of the bright spots for La Salle this year, after seeing their minutes receive a considerable uptick in Season 81. Injuries also played a part in slowing down La Salle. Captain Kib Montalbo and big man Taane Samuel missed a large chunk of the elimination round. Montalbo played only 11 games for the Archers, while Samuel could only manage three in the elims. 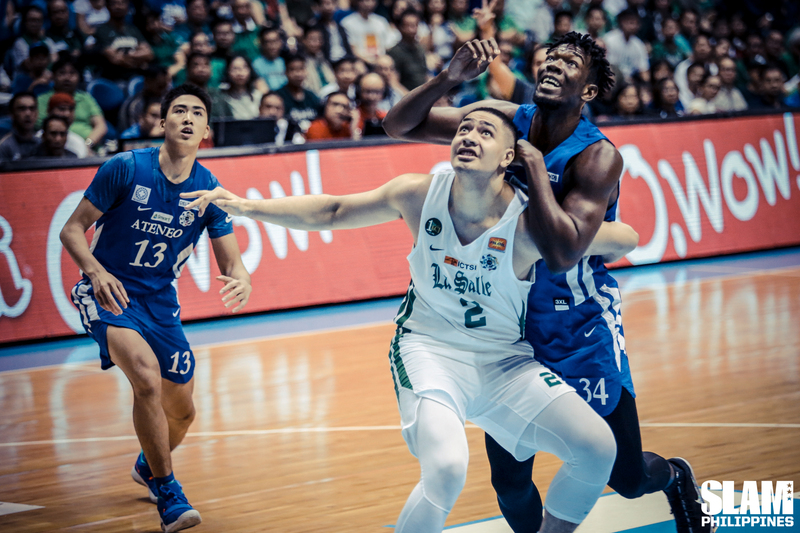 It is easy to speculate how different the season would have panned out for La Salle had Montalbo and Samuel been healthy, but their absence definitely made the Archer’s task more difficult. Despite all their hiccups, La Salle managed to enter their second round matchup against Ateneo on a three game tear, which included a 110-69 thrashing of UST. After a promising first quarter against the Blue Eagles, La Salle suddenly came crashing down. The 71-62 second round loss against their rivals was a bitter pill to swallow, but the defeat against a hungry UP Fighting Maroons squad was an ever bigger disappointment. A victory in either of the games could have spared La Salle a playoff for the Final Four, but the Archers didn’t come close in both contests. Losing Mbala, the Rivero brothers, and Aldin Ayo would be difficult for any team to bounce back from and contend again straightaway, but make no mistake, this was a team with high hopes despite undergoing a rebuild. The Green Archers posted commendable numbers as a team, and had great results throughout the tournament. Unfortunately for them, the Green Archers failed to perform in the games that had a direct effect on their Final Four aspirations. La Salle now will look at themselves and see what can be done to scale the dizzying heights they are so accustomed to in Season 82. It would be no surprise for the entire team to realize that despite the end result this season, the future still looks bright. 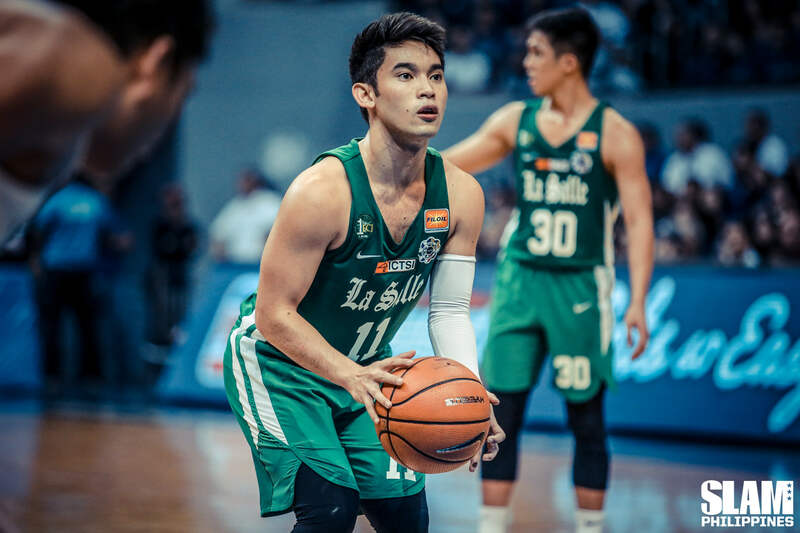 Montalbo and Santillan have played their last minutes for La Salle after the loss to FEU, but as usual, the Green Archers already have talent waiting in the wings ready to help them contend again. For the players currently on the roster, this season has exposed what strides they have to make to challenge for a championship again. Melecio will need to become more efficient after a year of leading the charge on offense for the first time. Big men Baltazar, Samuel and Matthew Bates will fill in for the loss of Santillan. Young guns such as Encho Serrano and Joaquin Manuel should improve their respective games to make up for the two-way play of Montalbo. Every season, La Salle is typically expected to figure as title contenders or dark horses for the men’s basketball crown. Despite failing to meet their lofty goals in Season 81, it would be no surprise to see a reinvigorated Green Archers squad aiming their arrows high once again in Season 82.